Sold by Yi-Digital Store and Fulfilled by Amazon. Gift-wrap available. 【Clear Stereo Sound】Built-in industry-leading high precision 50mm magnetic neodymium driver delivers high-quality stereo sound to keep you immersed in your game. 【Noise-Canceling Mic】The flexible omnidirectional microphone captures the user's voice and simultaneously eliminates distracting background noise. 【Comfortable & Adjustable】Adjustable rotating 15°earmuffs fits for all head ear shapes. 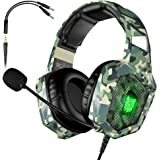 Soft leather protein foam earmuffs and ergonomically padded headband allow for long gaming sessions without fatigue. 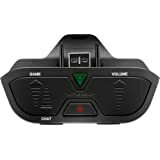 【Multi-Platform Compatible】Works great with all NEW Xbox One controllers, Nintendo 3DS, PSP, Laptop, PC, Mac and mobile/tablet devices. 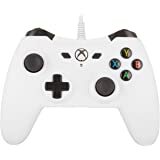 Compatible with Mac, Windows XP, Vista, 7, 8, and 8.1.Please note that you need extra Microsoft Adapter（Not included）if you own an old version Xbox One controller. 【Guarantee and Service】We offer two years replacement and money refund warranty! If you have any troubles, please contact us and we will spare no effort to handle it! 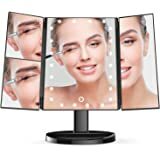 Sold by Yi-Digital Store and sent from Amazon Fulfillment. As a premium brand of rapid development in recent years, EKSA enjoy a high reputation in the global market. Offering an extensive range of products within gaming and music industry, EKSA prize themselves on bringing innovative and exciting ideas to market. 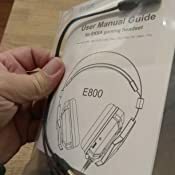 E800 is the most cost-effective one among the EKSA brand gaming headsets. 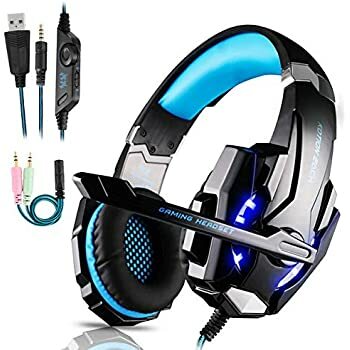 It is a professional gaming headset for PlayStation 4, Xbox one, PS3, PC, Laptop, Nintendo Switch and Mac Games, which features clear stereo sound, noise-canceling mic, comfortable & adjustable design, exquisite craftsmanship and cool looking. 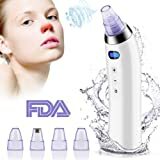 It is an ideal choice for you. 【Easy Install】 Plug and play, 3.5mm plugs for mic and headset, USB plug for lights. Fully fulfill the stability of the sound. 【Noise-cancelling Mic】 One Key Mute, Reduces background noise for clear voice collection. 【On-cable Sound Controls】 Volume dial and mute switch are close at hand for quick audio adjustments. 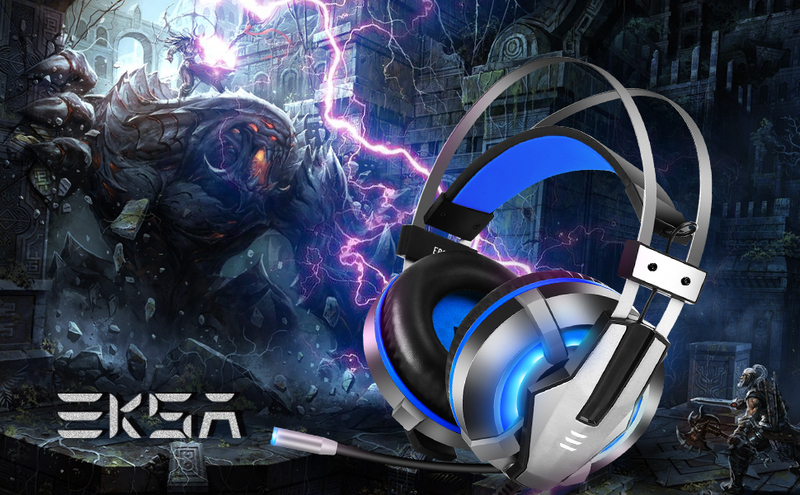 【High Compatibility】 The headset works with 32-bit and 64-bit Win 7/Win8/Win8.1/Win 10/XP Mac, Linux and etc. Extra Microsoft adapter (Not Included) is needed when connect with Xbox One controller. The USB interface is only used for power supply to LED light to highlight the atmosphere of the game. Sound is clear and the microphone works really good either inside the headphone and with the extension. I can use it with either : PC or games console . I'm using it in a ps4 online game and i hear really all : sound immediate, clear, strong. 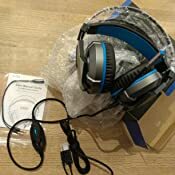 The headphones are confortable and after 1 hour I feel it still confortable on my head. 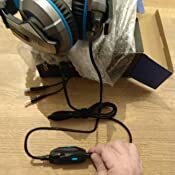 the cable seem not really light (during my game's sessions ) because there are usb cable(useful to light on the headphones) and the switch(microphone on\off) but without this tittle detail, i can tell that this purchase has been usefull and cheap at the same time. 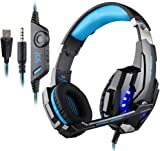 This is a great value for money headset. 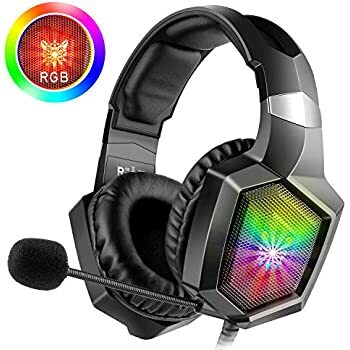 It has dual connectivity so I can use it with either my PC or games console, so I wouldn't need to have two headsets that is one for each. 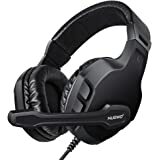 It's sound is very clear, I can hear footsteps and other in game sounds even though it is very faint and that is what you need when you need to hear if other players are around you. Also with its noise cancelling microphone I receive compliments that it is very clear with no background noise or fuzziness when talking. Lastly with its soft padded fit, it was comfortable for long use and found no pain or tiredness after 5 hours continuous play. Packaging of the product is like any other product. 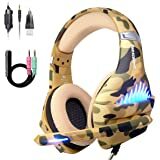 Had to initially get used to the design of the headphones, however my misconception was alienated once I had tried these on. These are a lighter set of headphones on the market and one of the comfiest. The cable for the headphones also look pretty sturdy as it is nylon braided. It also includes a splitter, which is useful if you need to split the headphone from the mic on your computer. Furthermore the actual mic uses flexi plastic - so you can move the mic into the perfect position !! 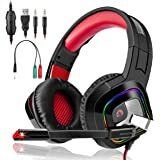 This is not a headphone for music but purely for gaming! 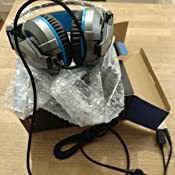 The headphones came in a very nice box, not at all flimsy which I thought may be the case with the price of these, they continued to impress me with the build quality and solid plastics, spring steel headband and cabling. There is a microphone that neatly slides away when not needed, the cord has a 3.5m stereo jack and an USB plug. I wasn't aware of that when buying as it was bought for the PS4, but it will connect to Wii, hi-fi etc. This is actually the second one I have bought, but the first one was gifted, so other than being told they were good, I hadn't seen them "in the flesh". I have a profound hearing loss, but these beauties have more than enough power even for me, brilliant! 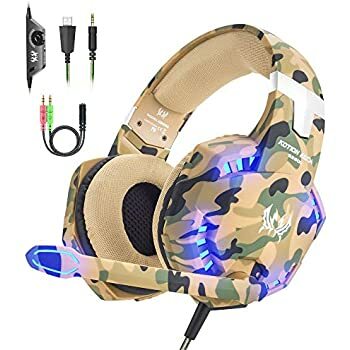 I use these headphones at work actually and not for gaming, but they do their job perfectly well - they look great and cut out outside noises which really helps in a noisy office environment! When plugging in I had a very strange sound quality though, but in the end I think it was my computer that had the sound setting per default to 'sewer', heck knows why!? But after putting it to 'normal', the sounds is brilliant. 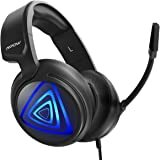 Great headphones for this price, I can recommend! 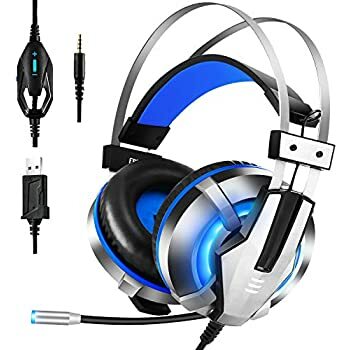 Bought for boyfriend for last minute birthday gift, his other headset doesn’t have a quick mute button, he says he’s happy with these. 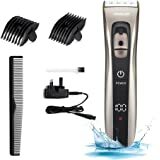 Good sound quality and has a handy microphone that can be pulled out and put away. 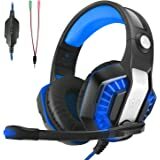 He uses these with the Xbox one and said the microphone is clear quality to others, very comfortable to wear and has a volume and mute button with a long lead. Cool lights! Result! Works really well. Easy to adjust from adult to child size head with minimum effort. Sound quality is fantastic and makes the whole experience more immersive. Found the microphone to be very effective and picks up sound from quite a distance, so don’t forget you’ve got it on! 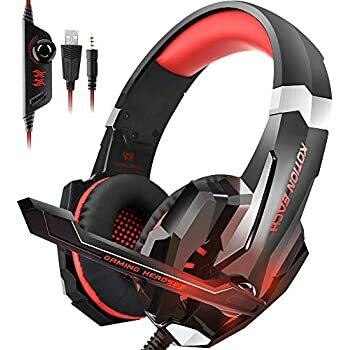 This gaming headset is stylish and durable. Very comfortable and perfect to use for a long hours of playing games. Sound quality is good. Nice gift this Christmas as well.